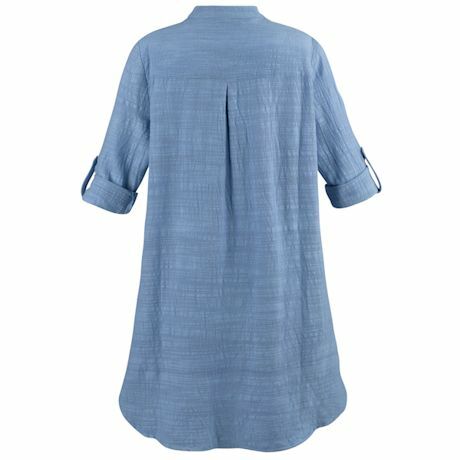 Gorgeous texture and a free-spirited cut combine to create the perfect boho top. 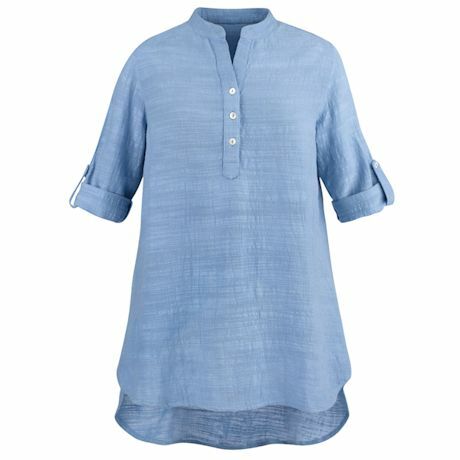 An 11" three-button placket and roll-tab ¾-length sleeves keep things light and easy, while the linen-feel fabric with a deep high/low hemline offers coverage just where you want it. Hand wash. 100% cotton. Imported. S(6-8), M(10-12), L(14-16), XL(18), 1X(18W-20W), 2X(22W-24W), 3X(26W); 27"L front; 34"L back.